Would you like to experience amazing clarity, peace, and freedom, even in the midst of challenging circumstances? 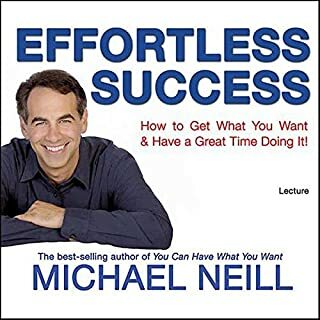 In this groundbreaking audiobook, best-selling author Michael Neill shares an extraordinary new understanding of how life works that turns traditional psychology on its head. This revolutionary approach is built around three simple principles that explain where our feelings come from and how our experience of life can transform for the better in a matter of moments. Understanding these principles allows you to tap into the deeper intelligence behind life, access your natural wisdom and guidance, and unleash your limitless creative power. You'll be able to live with less stress, greater ease, and a sense of connection to the larger unfolding of life. Welcome to the space where miracles happen.... Are you ready to begin? I read a lot of self-improvement books - have done so since I was a teenager. Most of them are a waste of time, but every so often one comes along with a few practical suggestions and life gets easier for a bit. Then comes something like this. No suggestions, no programs, no steps. And yet I think this one is the real thing. I've known about Syd Banks and the Three Principles for almost 20 years, but I never quite "got it." 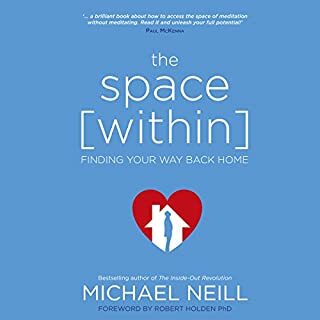 Michael Neill explains the concept so clearly and with such down to earth examples that "it" comes within reach. Finally. This book made a huge impact on my life in the best way possible. I can't begin to express my gratitude for the information and the eloquence with which Michael expresses it. Pointing us towards our own inner wisdom and innate health. This book is a short and pleasant listen about the nature of our human experience. It points us towards a direction where we can experience our lives with more clarity and ease of heart - and resulting in better decision-making and flow through life. This book contains no step-by-step instructions or guides, meaning that there are no techniques for you to learn or manage in order for you to "get there" - instead it points us to the truth of the fact that we already possess all we need in order to live a more fulfilling life, and that we don't need to change in order to feel good and loved. What this book is pointing toward has for ever changed my life and how I perceive it - and I hope that you will see this for yourself too. 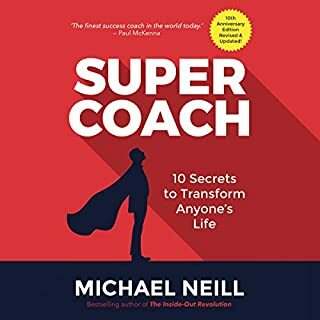 Michael Neill explains a very profound subject in from a perspective that a businessperson can relate to. Entertaining and very powerful. OMG..... Thank you for this book!!!!! Would you listen to The Inside-Out Revolution again? Why? I think we all have an evolutionary path to take to get us to a place of peace. Of comfort... Of confidence of knowing we are on the track we want to be on.... This book just resonated so perfectly with everything I have felt and did not know how to access... I think all of the steps I have taken have guided me to the so so simple and perfect read.... All I can say is thank you thank you thank you... I knew there had to be something this simple.... I just couldn't access it!!!! What other book might you compare The Inside-Out Revolution to and why? There are so many but I think first I would say the true story of Dying to be me also lists the simplistic approach. They just coincide with one another.... Just Know you are WHOLE! OMG.... Definitely my favorite audio yet!!!! It really is that easy and you don't have to buy anything to access it! answered inner knowing and prayers right here! Thank you!!!!! I enjoyed the abridged narration by the author, Michael Neill, he gave the story a nice personal touch. The performance was short and sweet. Michael delivered the essential message on the principles of thought and our ability to change perceptions from the inside out with one positive thought. There is something very powerful behind his words. This book may not sound like it's profound on the surface. If you come in thinking that there may be an answer to living a more extraordinary life, I'd say it's definitely there. Think of how many how-to books there are now. Think of how many people are reading them are still reading MORE books to achieve something more. Clearly the how-to is not the problem; there is a fundamental understanding that is available in this book--the difference that makes all the difference. Listen to this more than once! 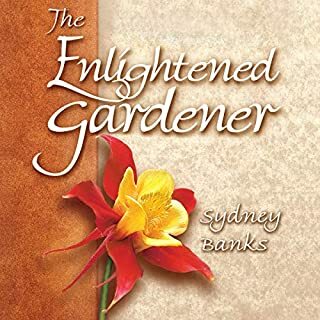 Michael Neil has figured out how to share the timeless wisdom transmitted through Sid Banks in an inspired manner that is easy to understand and allows for greater peace and joy as we recognize our ability to control our thoughts, rather than the other way around. Very few new books deliver a transformational experience to the reader like this one! I've read the book 4 times and listened to the audio 3 times and my experience is never the same. I hear something new every time. I feel a deeper sense of clarity, confidence and courage to live life more fully with every listen. Awesome listen - the author has a pleasant way of smoothly introducing profound concepts. Anyone would greatly benefit from this book. Glad I purchased so that I can re listen. 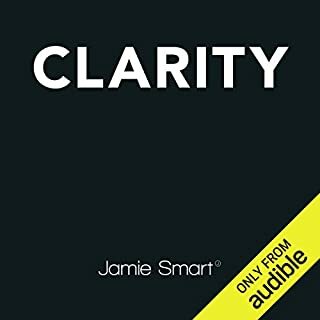 It is the same theory as the excellent Jamie Smart in his audio book Clarity. Scientists know we create our world instantly using chemicals. They know that instant thoughts send instant chemical signals to create our instant feelings. Change bad people or experiences. We think the bad people or experiences are sending the bad chemical which give us bad feelings. Thought sends chemical to mind to create feeling. The thought = the chemical = the feeling. Bad thoughts send bad chemicals. Good thoughts send good chemicals. New thought = new chemical =new feeling. It is not the other person who causes the bad chemical going to your mind. It is your bad thought that sends the chemical. Thought can only send chemicals regarding your instant thought. Future thoughts will send chemicals in the future. It is all biology. Nothing more complicated than that. Humans are very good at dealing with things that actuality happen. Humans are bad at dealing with past thoughts (ruminating) and future thoughts (worrying). It makes sense for us not to do what we are bad at (ruminating and worrying), and stick to what we are good at (dealing with things that actually happen). Good mental hygiene = reduce the amount of bad chemicals being sent. You are feeing your thinking chemicals not feeling your life. This book and similar books are correct in what they teach. Really enjoyed this book. I listen to the audio a few times for all of it to sink in. A lot of great anecdotes from Michael. 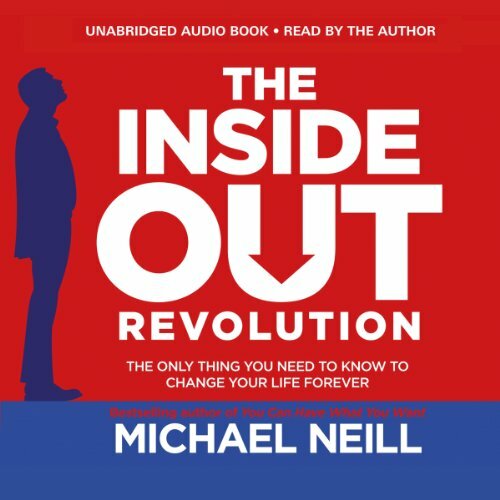 I felt huge relief from listening to Michael's book 'The Inside-Out Revolution". I have been feeling depressed for some time but now I feel so much lighter and am hopeful about the future. Thank you Michael Neill for this book. I've listened to this over a dozen times now, Each time I listen something else resonates within me. I spend a lot of time in traffic, which enables me to use that time to improve my mindset, I'm actually disappointed if the motorways are clear. Thanks to this book! What other book might you compare The Inside-Out Revolution to, and why? Straight talking, not a lot of Fluffing. To the point, clear instructions - No Guarantees. Both books share important information, value, and good clear concise teachings. No, I never pick up a book or listen and limit myself in completing it in a set amount of time, good books are all too soon over, and when that happens I listen again and again so I ingrain the knowledge I want to take in and apply. while this was an easy listen, and made a lot of sense to me. it lacks the completeness to help people handle difficulties in life, including those of thinking too much. I feel a sense of ongoing effect after reading this book, but I would recommend something with more tools to apply, such as 'the happiness trap' by Russ Harris, or something similar. wonderful , light and so easy to listen to! I really enjoyed this book. it is naturally reassuring, sensible and coherent. well worth a read& I think I will 're read it again soon. Really enjoyed it and loved that it was narrated by the autor Michael Neill. 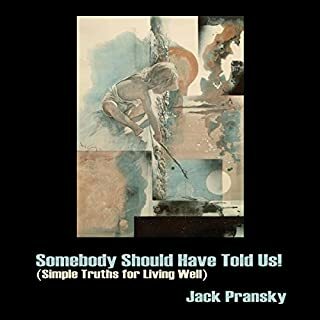 He is inspirational and uplifting to listen to and I have listened to it many times with each time getting more and more insights and wisdom from it. I am very interested in the 3 principles but just cannot find any actual guidelines or exercises to allow me to experience them. Again this book, like others, share case studies but no instruction. This is the most compelling book I have listened to in a very long time. Just listening for the second time now and I can clearly see how the Inside Out Principles can change your life if you embrace them. An very enjoyable and impactful 2.5 hours which flies by because you are so drawn in by the simplicity of the ideas. I defy anybody not to be moved by this book! Get yourself into a new space. I listened to this book at a point when I needed to reset my system, it worked like a dream and it was fast. One ah ha moment after another. I am so glad i found this book. Definitely helping me. it just makes total sense. True to label... simply amazing! I won't butcher it by trying to explain it. It's not a book it's an experience in a book. Love Michael Neill's work ... will be listening to this over and over ... see the transformational potential.